In 2017, Instituto de Longevidade Mongeral Aegon launched the Cities and Longevity Program, a two-part initiative to drive more effective public policymaking for healthy and active aging. 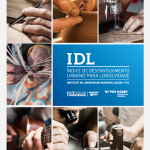 The Urban Development for Longevity Index (IDL City Index) analyzes public indicators to measure the readiness of Brazilian cities for population aging, focusing on 6 critical domains: healthcare, well-being, housing, leisure, work, and finances. An update to the Index, expected in 2019, will expand the assessment from 500 to 1,000 cities across Brazil. The second part of the program, the Public Management for Longevity Project (GPL Training Course), trains city managers in the use of the Index methodology, as well as in Design and Process Science, to support their ability to plan and implement policies that promote active and healthy aging in cities. Instituto de Longevidade Mongeral Aegon is the Brazilian partner of the Aegon Center for Longevity and Retirement. In 2016, GCOA partnered with former Finnish Prime Minister Esko Aho to launch the first ever Digital Silver Forum. More than just a conference, the Digital Silver Forum is a dynamic opportunity where attendees, speakers, sponsors, and startups build connections and exchange ideas. 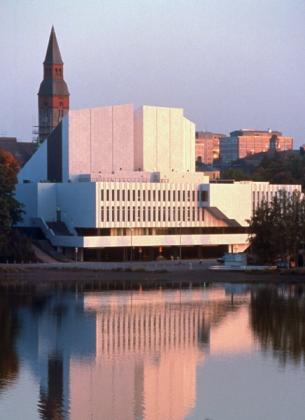 The one-day Slush side event brings innovative thinkers, public policy experts, corporate leaders, and entrepreneurs to Helsinki to connect and explore opportunities that emerge from combining our growing digital capability with the needs and demands of our aging populations. 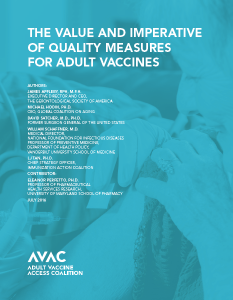 In July 2016, GCOA partnered with the Adult Vaccine Access Coalition on a white paper calling for quality measures for adult vaccines. The paper explains how vaccine quality measures can prevent illness and death, reduce caregiving demands, save unnecessary healthcare spending, and set the foundation for healthy aging. Further, it urged that adult vaccination quality measures be included in the implementation of two national measure developments in the United States: the Medicare Access & CHIP Reauthorization Act of 2015 (MACRA) and the Core Quality Measures Collaborative. The Global Coalition on Aging (GCOA) has partnered with the EU’s European Institute of Innovation & Technology (EIT) on Health and a consortium of partners to launch the Caregiving and Ageing Reimagined Across Europe (CARE) initiative, a public-private partnership to share best practices and improve the quality of elder caregiving in Europe. CARE is focused on the development of caregiving training and skills for future generations of care professionals. Current and past consortium partners include several GCOA members, including Aegon, Home Instead Senior Care, Nestlé Skin Health, and Philips, alongside some of the leading academic institutions and civil society organizations in Europe. 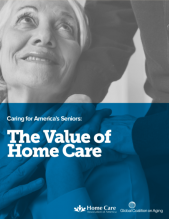 The Value of Home Care report, developed by GCOA in partnership with the Home Care Association of America, shines a spotlight on home care as a valuable and vital part of the solution to the challenges that accompany population aging. 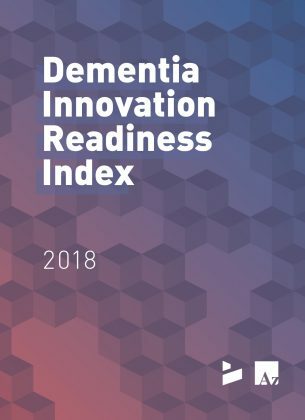 The report demonstrates the critical role that home care plays for seniors, their families, the health care system, and the U.S. economy as the county’s aging population continues to grow. 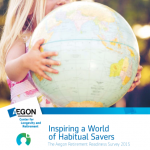 The fifth annual Aegon Retirement Readiness Survey analyzes multi-year trends and assesses the retirement expectations of 16,000 workers and retirees in 15 countries spanning Europe, the Americas, Asia and Australia. 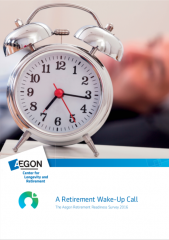 The report finds a lack of progress in retirement readiness across the globe and highlights possible solutions of expanding access to workplace retirement benefits, implementing helpful nudges to save, encouraging habitual saving, offering planning and investment guidance, and facilitating flexible options for transitioning into retirement – all with a vision of active living and healthy aging. 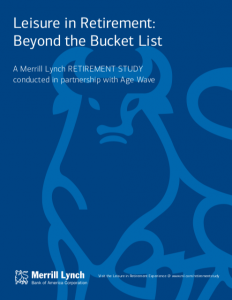 This study is the latest in a series of in-depth studies by Bank of America Merrill Lynch and Age Wave. The series focuses on seven life priorities for people as they move to and through retirement and finds that as the baby boomer generation retires en masse to enjoy newfound freedom of time and activities, an estimated 2.5 trillion hours of leisure time will be created among the age 65+ population over the next two decades. This “leisure boom” will have an unprecedented impact on individual lifestyles, families, and leisure marketplaces. In 2016, BlackRock launched the BlackRock Retirement Institute, a global thought-leadership platform that extends the firm’s industry-leading efforts to help clients and the broader community to make better decisions about retirement and longevity. 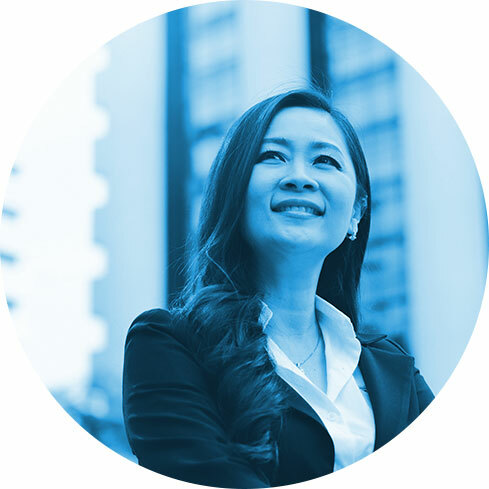 Through BRI, BlackRock sought the views of experts—inside and outside the financial services sector— to create and amplify the best thinking on retirement and longevity. Geared towards the professional community—including financial advisors, plan sponsors, regulators, and elected officials—BRI took the lead in explaining the ins-and-outs of retirement investing and the various options individuals, businesses, and policy-makers face when planning for retirement. Because the retirement challenge is about more than money, and BRI’s mandate extended far beyond the details of financial planning. Its mission was to think about the broad matrix of factors that affect retirement security in the U.S. and around the world. How will the redefinition of retirement change our lives, communities and institutions? Bank of America Merrill Lynch’s Andy Sieg joins other thought leaders at the Milken Institute’s Global Conference for a discussion about the future of retirement. Can a city help improve your health outcomes? Can a hospital make you sick? In this webinar, an expert panel, featuring GCOA Executive Director Melissa Gong Mitchell, discusses the relationship between environment and healthy aging, the resources required to age in place, and examples of communities that are embracing and benefiting from the aging in place trend. Former Nebraska Governor and Senator Bob Kerrey joined Bank of America Merrill Lynch’s Andy Sieg at a forum held at the Museum of American Finance to discuss how population aging is transforming retirement as we know it. S&P created this solutions-oriented report was created in partnership with GCOA. 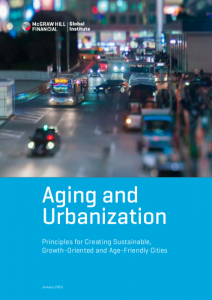 The report examines the intersection between two defining demographic trends of the 21st century – rapid urbanization and aging populations – and outlines a set of principles to advance the creation of self-sustaining cities that support residents of all ages. In October 2015, the World Economic Forum’s Global Agenda Council on Ageing produced a white paper titled, ‘How 21st-Century Longevity Can Create Markets and Drive Economic Growth’, which underpins that business is on the brink of a new, innovative, and imperative opportunity that also has the potential to play a central role in transforming global society. The white paper describes how this demographic shift can be a driver of economic growth at national, regional, and global levels, and also highlights companies who have already begun to strategically position themselves in what they regard as a market growth opportunity. In September 2015, GCOA and the OECD hosted an expert consultation at Harris Manchester College. The workshop brought together a group of diverse stakeholders from across industry, aging, technology, and public policy to address three themes aimed at elevating digital competencies for people of all ages: Education and Intergenerational Partnerships, Trust, and Scalability. The workshop explored the barriers to increasing the digital competency of older adults, in particular. For more information about the event, please visit the OECD website. How financially prepared are people across the world for retirement? Are they saving enough to meet their retirement goals? And what role should individuals, employers and governments play? 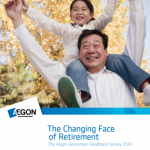 The fourth annual Aegon Retirement Readiness Survey, we seek to address these questions and many more. A group of international experts, including economists, policy makers, social scientists, researchers, and representatives of private sector, professional, and other associations, convened at Harris Manchester College in Oxford on June 26, 2014 to discuss the opportunities of the silver economy as a response to population aging. The day-long consultation was organized jointly by GCOA and the Organization for Economic Cooperation and Development (OECD), and built on the outcomes of an OECD-APEC Workshop on Anticipating Special Needs of the 21st Century Silver Economy, held in Tokyo in September 2012. For more information about this event, please visit the OECD website. 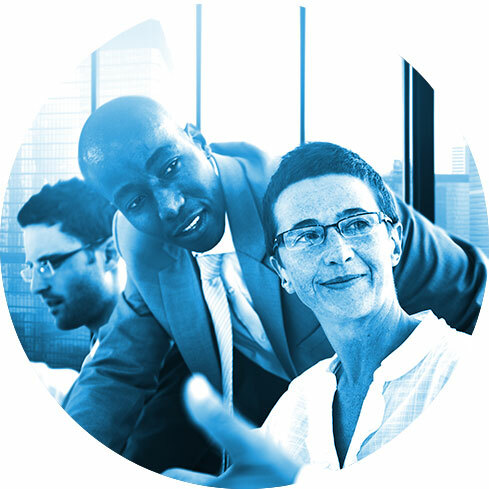 The third annual Aegon Retirement Readiness Survey questioned over 16,000 people in 15 countries – including Brazil, India and Turkey for the first time. The report finds that despite improving economic sentiment, people have clear concerns about their retirement. They do not feel sufficiently prepared and, worryingly, they are not acting on it.